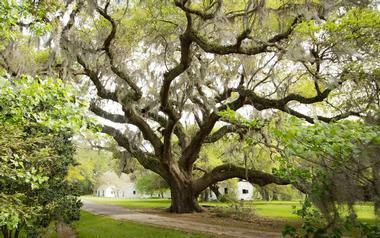 The Southern United States has much to offer in the way of things to see and do for the whole family. 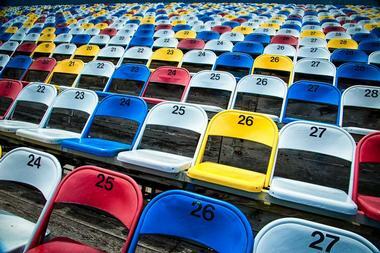 Head to the world-renowned racetrack in Daytona Beach to watch the Daytona 500; soak up some blues in Clarksdale, Mississippi, at the Delta Blues Museum; explore the underground chambers, complex labyrinths, and deep caverns of Mammoth Cave National Park in Kentucky; or head into the land of Disney at the Walt Disney World Resort in Orlando. Everglades National Park is a U.S. National Park on the southern tip of Florida that consists of 1.5 million acres of beautifully preserved wetlands made up of coastal mangroves, sawgrass marshes, and pine woods. The most significant tropical wilderness of its kind in the world, these wetlands are home to a wealth of animal and bird species, including 40 species of mammals, over 300 species of fresh and saltwater fish, and 350 species of birds. The marshlands are also home to endangered species of animals such as the leatherback turtle, the West Indian manatee, and the ever-elusive Florida panther. 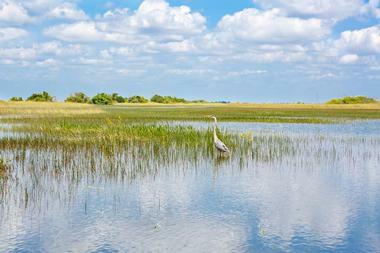 The Everglades National Park has been declared a World Heritage Site, an International Biosphere Reserve, and a Wetland of International Importance. Daytona International Speedway is a world-renowned racetrack in Daytona Beach, Florida, which has been the home of the Daytona 500, the most prestigious race in NASCAR, for the past 60 years. In addition to NASCAR, the Daytona International Speedway also hosts a variety of other sports, such as the Supercross, AMA Superbike, and ARCA. Owned and operated by the International Speedway Corporation, the track features multiple layouts ranging from the central 2.5-mile high-speed tri-oval and the 3.56-mile sports car course to the 2.95-mile motorcycle course and the 1,320-foot karting and motorcycle flat-track. The speedway’s 180-acre infield features Lake Lloyd, which hosts powerboat racing. 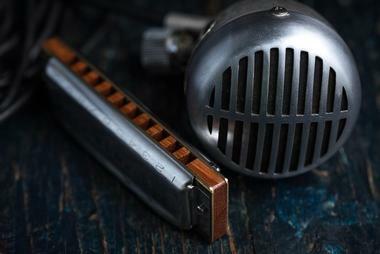 Located in Clarksdale, Mississippi, the Delta Blues Museum is dedicated to collecting, preserving, inspiring, and encouraging the awareness and appreciation of blues music. Clarksdale has been at the core of blues culture and a center for the music since the 1920s, and this is highlighted in the works at the museum. The museum features a significant collection of blues-related memorabilia, artworks, and documents, which are showcased in a variety of exhibitions, including works by photographer Birney Imes and sculptor Floyd Shaman. Built in 1926, the museum is located in the Yazoo and Mississippi Valley Passenger Depot, which is also known as the Clarksdale Passenger Depot, and is listed on the National Register of Historic Places. The Elvis Presley Birthplace & Museum is a historic site and museum in Tupelo, Mississippi, that is dedicated to showcasing the life and times of American musician Elvis Presley. 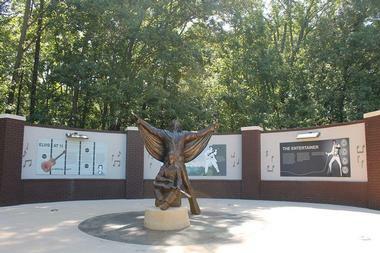 Established to preserve the birthplace of the world-renowned artist, the Elvis Presley Birthplace & Museum includes, in addition to his home and place of birth, a museum with a variety of exhibits, memorabilia, and photographic displays about the musician, a quaint chapel, and the Assembly of God Church building, where Elvis and his family worshipped. The museum features a shop where Elvis-related items and souvenirs can be purchased, and guided tours of the house and the museum are offered daily. Georgia Aquarium is a marine animal sanctuary in Atlanta, Georgia, that is home to more than a hundred thousand animals representing several thousand species that live in over 10 million US gallons of fresh and saltwater. The second largest aquarium in the world, the Georgia Aquarium is home to important species such as beluga whales, bottlenose dolphins, whale sharks, manta rays, and California sea lions as well as a myriad of smaller creatures ranging from jellyfish to sea urchins and starfish. 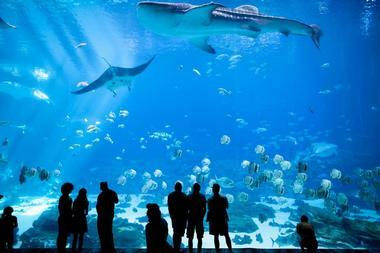 The Georgia Aquarium offers guided tours of the facility as well as a range of animal experiences and special assignments and is open daily, year round. Hailed as the most famous rock ‘n’ roll residence in the world, Graceland is the estate and mansion that was once owned by Elvis Presley. Set on 13.8 acres in the Whitehaven community of Memphis, Tennessee, Graceland is a museum dedicated to the life and career of the famous musician. The museum takes visitors on an unforgettable journey through the rock ‘n’ roll legend’s home, delving into the personal side of Elvis Presley and how his unique sound and revolutionary style changed the face of the pop music and culture forever. Graceland has been designated as a National Historic Landmark and is listed on the National Register of Historic Places; it is open to the public daily. Great Smoky Mountains National Park is a U.S. National Park that straddles the border between North Carolina and Tennessee. 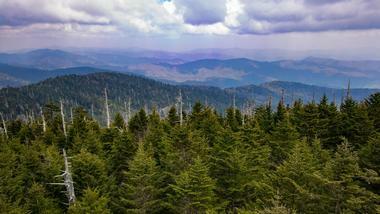 It encompasses the Great Smoky Mountains and part of the Blue Ridge Mountains, part of the Appalachian Mountains. A UNESCO World Heritage Site, Great Smoky Mountains National Park is home to lush forests, year-round blooming wildflowers, rivers, streams, and waterfalls that attract visitors throughout the year to hike, mountain bike, and enjoy the natural scenery. There is an observation tower at the top of the highest peak in the park known as Clingmans Dome, which offers spectacular scenic views of the surrounding mist-covered mountains. Formerly known as "Place d'Armes" in the 18th century and later renamed as Jackson Square in honor of Andrew Jackson, who was a hero in the Battle of New Orleans, the historic Jackson Square is a beautiful space and a popular tourist attraction in the heart of the French Quarter of New Orleans. Facing the Mississippi River and surrounded by historic buildings, including the Louisiana State Museums of the Cabildo and the Presbytere as well as and the magnificent St. Louis Cathedral, this famous landmark is packed with things to see and do. A favorite site for visitors and locals, the square has shops, restaurants, cafés and coffee shops, galleries, museums, and more, along with a renowned open-air artist colony which has been displaying its work on the square's iron fence for more than 50 years. 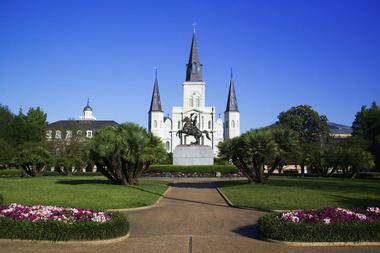 Jackson Square is open 7 days a week during daylight hours. 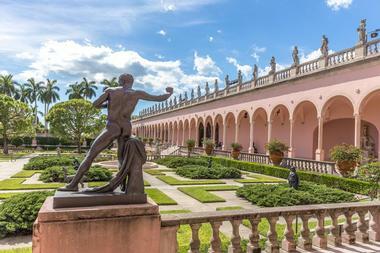 The John and Mable Ringling Museum of Art is a state art museum in Sarasota, Florida, that is dedicated to showcasing European, Asian, American, and contemporary art. Designated as the official state art museum for Florida, the John and Mable Ringling Museum of Art was established in 1927 as the legacy of John and Mable Ringling, who dedicated the institution to the people of Florida as a gift. Today, the museum boasts 21 galleries of art, including a notable collection of Cypriot antiquities, along with more than 10,000 items including drawings, prints, photographs, sculpture, and decorative arts from around the world. Celebrated pieces include works by Duchamp, Velazquez, Bernini, Rubens, and Frans Hals. 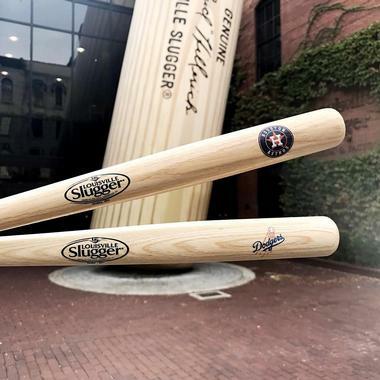 The Louisville Slugger Museum & Factory is dedicated to showcasing the story of Louisville Slugger baseball bats and the role they played in the history of American baseball. Located in Kentucky's “Museum Row,” which is part of the West Main District of downtown Louisville, the museum and factory are open to the public and feature an array of popular baseball-related attractions and displays, such as the world's biggest baseball bat, a signature wall with signatures of every Louisville Slugger contract player, a bat vault, and batting cages where visitors can try their hand at slugging. Guests can also enjoy guided tours of the Louisville Slugger bat factory, which highlights how the famous bats are made, including a vintage bat-making demonstration. Located on the Ashley River in Charleston County, South Carolina, Magnolia Plantation and Gardens is a historic site with beautifully manicured gardens and a house that is open daily to the public. Listed on the National Historic Register of Places, the Magnolia Plantation and Gardens are one of the oldest plantations in the South, with 464 acres of pristine landscaped gardens and grounds that date back to 1676. Initially a rice plantation, the estate is steeped in history, the story of which is told in the museum, which features an array of outstanding exhibits, displays, and timelines. 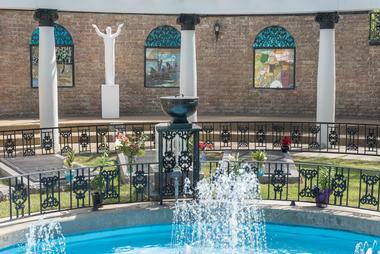 Guided tours of the gardens and grounds, as well as the foundation, are available daily. Mammoth Cave National Park is located in the Green River Valley in south-central Kentucky and is home to an extended cave system of chambers and subterranean passageways, including the famous Mammoth Cave. 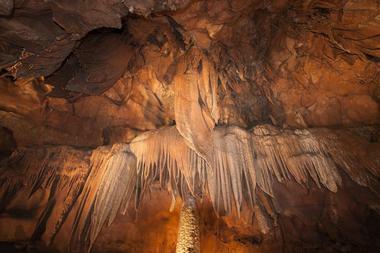 Renowned as being the world's longest known cave system and with over 400 miles of underground chambers, complex labyrinths, and vast caverns to explore, the park features favorite sites such as the Frozen Niagara section, which boasts incredible waterfall-like flowstone formations, and Gothic Avenue, whose stone ceiling is covered in 19th century visitors’ signatures. Outdoor hiking trails around the park lead visitors to other appealing sites, such as the sinkholes of Cedar Sink and the Green and Nolin rivers. Monticello was a plantation owned by the third president of the United States, Thomas Jefferson. 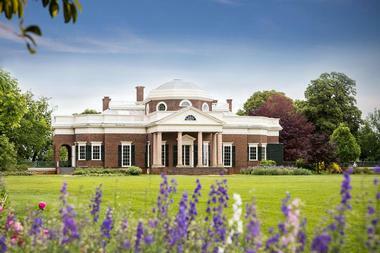 Located just outside of Charlottesville in Virginia, in the beautiful Piedmont area, the estate was designed and built by Jefferson after he inherited the land from his father in 1926. The property features exquisitely manicured gardens and grounds in addition to the main plantation house, which is a beautiful example of neoclassical architecture and design and features design elements popular in late 18th century Europe. The story of the plantation and how Thomas Jefferson built it up from scratch can be enjoyed in the museum, which also offers guided tours of the gardens and grounds throughout the week. The historically significant property has been designated a National Historic Landmark and a UNESCO World Heritage Site and is featured on the reverse side of the current US nickel coin. Six Flags Over Georgia is a theme park located west of Atlanta in Cobb County, Georgia, that offers a variety of themed rides and a range of Warner Bros. characters. Spanning 290 acres, the park features ten roller coasters, including the top-ranked Goliath and Mind-Bender, as well as over 30 other themed rides, shows and presentations, and tourist attractions based on Warner Bros. characters such as Looney Tunes and DC Comics. The park is also home to Hurricane Harbor, which is a 7-acre water park with a variety of water-based rides, slides, and shows. Six Flags Over Georgia is open daily, year round. The U.S. Space & Rocket Center is a state-operated museum dedicated to the U.S. space program and showcasing related artifacts, achievements, rockets, simulations, and other interesting facts. Located in Huntsville, Alabama, and operated by the government of Alabama, the U.S. Space & Rocket Center was established in 1970 following the second manned mission to the moon and houses interactive science exhibits and displays on the Apollo Program as well as over 1,500 Space Shuttle and Army rocketry and space exploration artifacts. 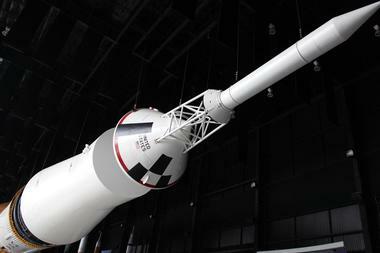 The museum also features an array of rocketry and space-related exhibits and offers U.S. Space Camp programs, which include lectures, simulators, and training exercises. 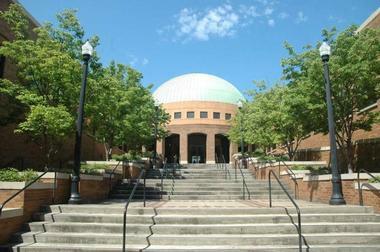 The U.S. Space & Rocket Center is open 7 days a week all year round. The USS Yorktown (CV-10) is a historic ship that was once one of 24 Essex-class aircraft carriers built to serve during World War II. Named after the Battle of Yorktown of the American Revolutionary War, the ship is now docked in Charleston and is the centerpiece of Patriots Point Naval & Maritime Museum. Built in 1943 and completed in just under 17 months, the vessel was known as World War II’s famous “Fighting Lady” and was part in the Pacific offensive that began in late 1943, ending with the defeat of Japan in 1945. The USS Yorktown (CV-10) earned 11 battle stars for service in World War II and received the Presidential Unit Citation. 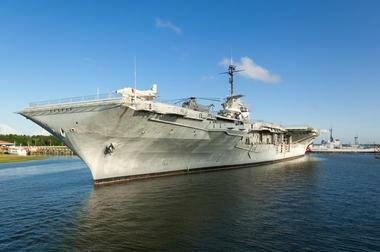 Today, the USS Yorktown (CV-10) can be visited at the Patriots Point Naval & Maritime Museum on Charleston Harbor at the base of the Ravenel Bridge. 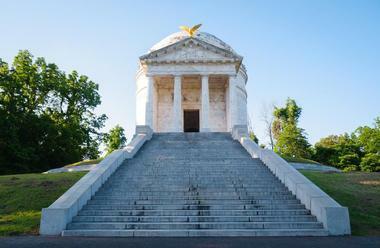 Vicksburg National Military Park is dedicated to preserving the site of the Battle of Vicksburg, which took place March 29 to July 4 in 1863 during the American Civil War. Located on the banks of the Mississippi River in Vicksburg, Mississippi, the park also features pays tribute to the Vicksburg Campaign, which led up to the battle and the 47-day siege that ended with the city surrendering. The park features 20 miles of reconstructed forts and historic trenches from the blockade, along with 1,325 historic monuments and markers on the battlefield, 144 emplaced cannons, two beautifully maintained antebellum homes, a restored gunboat, the USS Cairo, which was sunk in the Yazoo River in 1862, and the site of the famous Grant’s Canal. The park also has a 12.5-mile walking trail and a 16-mile touring road around the property. Officially known as the Walt Disney World Resort, Walt Disney World is a world-renowned entertainment complex that offers a wealth of entertainment, theme parks, and fun for the whole family. 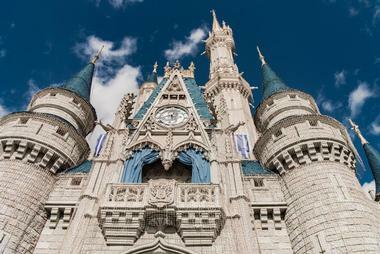 Located in in Bay Lake and Lake Buena Vista, Florida, Walt Disney World spans 27,258 acres and features four massive theme parks, two water parks, 27 themed resort hotels and nine non-Disney themed hotels, several championship and designer golf courses, a camping resort, and the outdoor Disney Springs shopping center. Theme parks include Magic Kingdom, Epcot Center, Disney’s Hollywood Studios, and Disney’s Animal Kingdom, and the two water parks include Disney’s Typhoon Lagoon and Disney’s Blizzard Beach. Walt Disney World is the most visited vacation resort in the world and the flagship destination of Disney's worldwide corporate enterprise. 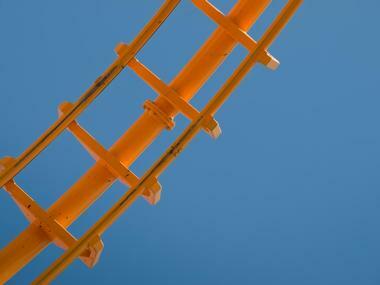 The World of Coca-Cola is a 20-acre museum showcasing the history of The Coca-Cola Company. Located in Atlanta, Georgia, just blocks away from where John Pemberton created the original Coca-Cola formula, the World of Coca-Cola is housed in a 92,000-square-foot building and features an array of exhibits that tell the story of Coca-Cola, how it was invented, and more about its secret formula. Visitors to the museum can enjoy a 4D movie and taste over 60 different flavors of Coca-Cola from around the world. The World of Coca-Cola also houses a simulation bottling line that shows visitors how the factory produces 8-ounce bottles of Coca-Cola. The World of Coca-Cola offers guided tours of the museum and is open to the public daily. The Appalachian National Scenic Trail, also known as the Appalachian Trail or the A.T. for short, is a famous marked hiking trail extending for around 2,200 miles between Mount Katahdin in Maine and Springer Mountain in Georgia in the Eastern United States. The trail passes through 14 states and traverses through a diverse array of landscapes, from dense forests and rugged mountains to tracts of wilderness, farms, and towns. Claimed to be the longest hiking trail in the world, the path attracts millions of people every year to test their strength and endurance, many of whom only complete sections of the trail at a time, while thru-hikers attempt to complete the entire Trail in one season. 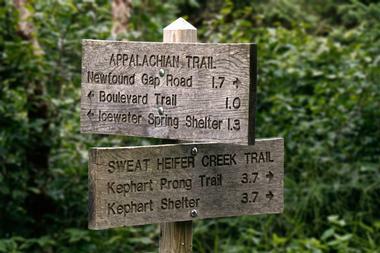 The path has an extension known as the International Appalachian Trail, which continues northeastwards across Maine, through Canada to Newfoundland, through Europe, and into Morocco. 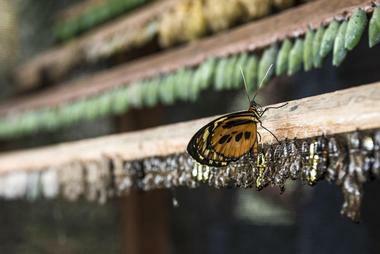 Located in the Old New Orleans Customs House in New Orleans, Louisiana, the Audubon Butterfly Garden, and Insectarium is an insectarium and entomology museum that is devoted to all tiny things that crawl, fly and walk. Based on the historical, white-marble columned structure on Canal Street, the Audubon Butterfly Garden and Insectarium span 23,000 square feet and features over 900,000 examples of known insect species and their relatives. Visitors can explore the museum's outstanding exhibits and displays and learn more about the insect world and their role on earth. The museum boasts a variety of presentations, including live insects and mounted specimens, as well as interactive experiences and hands-on displays, and trained, expert staff, are on hand to interpret and answer any questions. The Biltmore Estate is a famous private estate Asheville, North Carolina that is home to Biltmore House, a magnificent Châteauesque-style mansion and once the residence of millionaire George Washington Vanderbilt. The palace was built between 1889 and 1895 and boasts four acres of floor space with a total of 250 rooms, including 35 bedrooms, 43 bathrooms, three kitchens, 65 fireplaces, and an array of 19th-century novelties such as centrally controlled clocks, electric elevators, fire alarms, and a call-bell system. The mansion is an exquisite example of architecture for the Gilded Age. Spanning nearly seven acres, the grand estate is still owned by descendants of George Vanderbilt and is one of North Carolina's most popular tourist attractions. 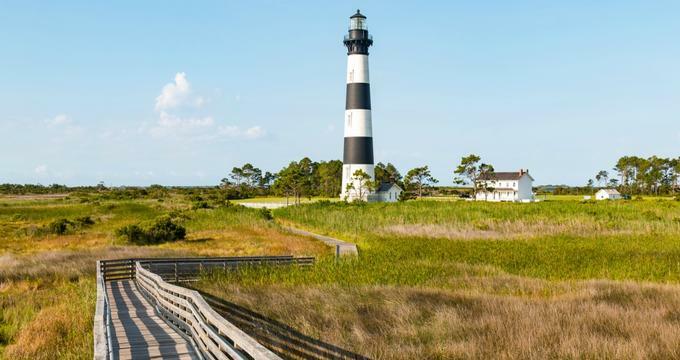 Located just south of Whalebone Junction and the town of Nags on Bodie Island in the Outer Banks in North Carolina, the Bodie Island Lighthouse is a historic landmark that was built in 1871 and is now a major tourist attraction. 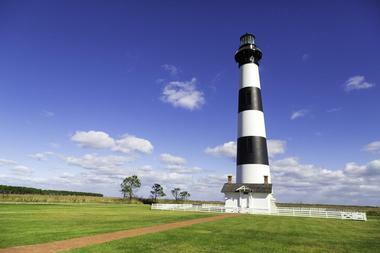 The Bodie Island Lighthouse is the third of its kind to guard this region of the Outer Banks coastline after the first lighthouse was abandoned due to a failing foundation, and the second was destroyed by retreating Confederate troops. Beautifully restored to its former glory, the 156-foot tower features 214 steps to the top and still shines a beam 19 miles offshore. Based in Nashville, Tennessee, the Country Music Hall of Fame and Museum is dedicated to the preservation American country music and is one of the world's largest museums and research centers for country music. Established in 1964, the museum is located in a 130,000-square-foot, state-of-the-art facility in the heart of Nashville with an array of galleries and exhibition halls, archival storage, classrooms and offices, retail stores, and unique event space. 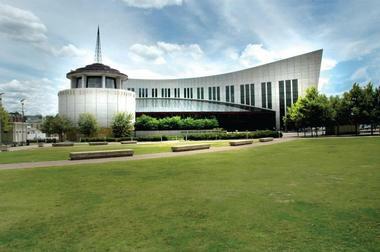 The museum features world's most significant musical collections and offers visitors a unique, interactive experience with technology-enhanced activities, showcasing artifacts, items, and objects relating to country music, its celebrities and stars.